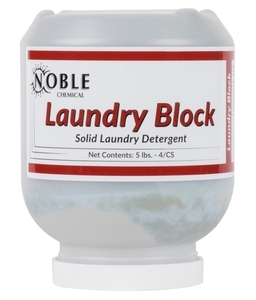 Noble Chemical Laundry Block solid laundry detergent is perfect for any high-volume laundry room. 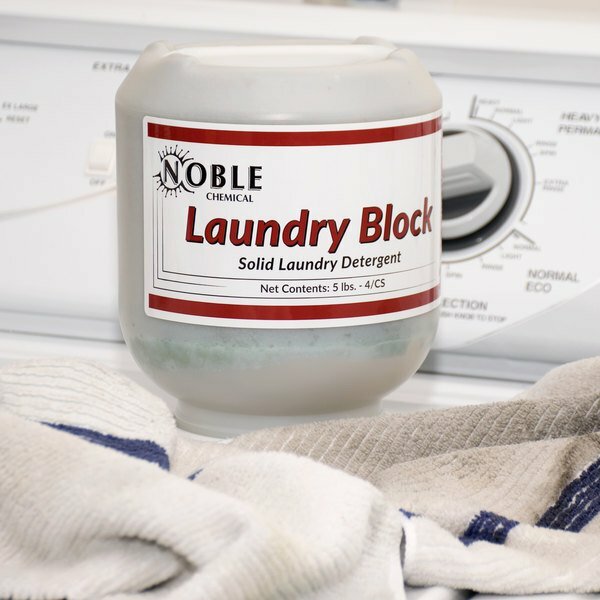 Give your towels, aprons, and other laundry a fresh and clean feel with this Noble Chemical Block solid laundry detergent. 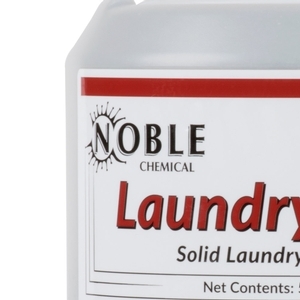 Soiled clothes and towels are no match for this super-concentrated, long lasting detergent. 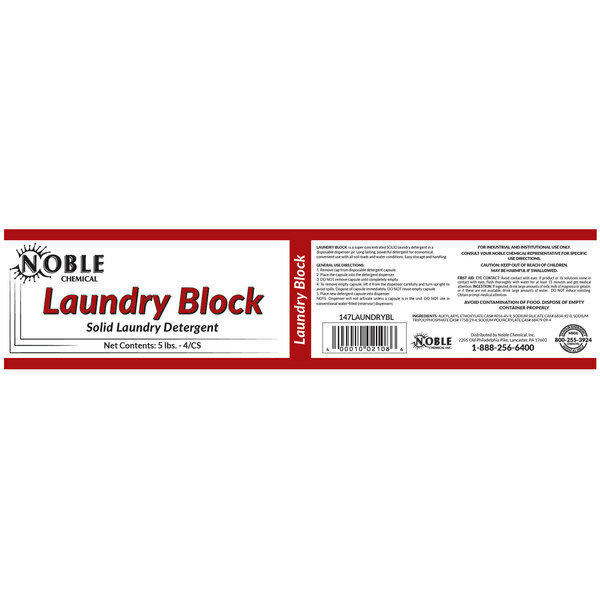 Perfect for laundry mats, hotels, and restaurants, your employees, guests, and customers will love using this for their clothes and towels. 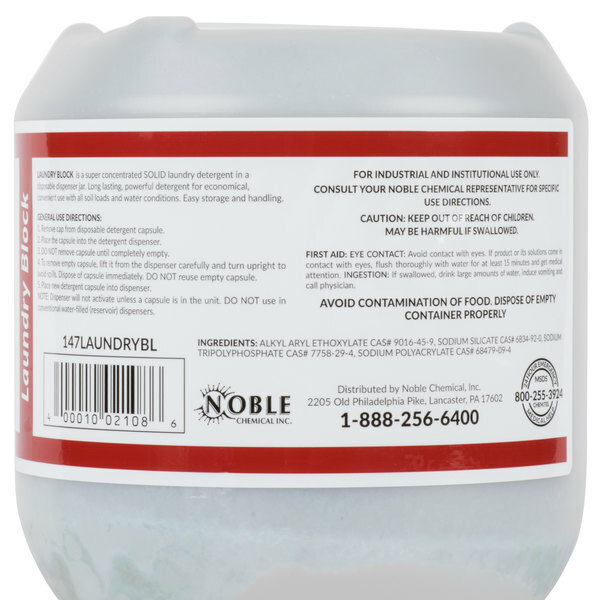 Great for all soil loads and water conditions, this detergent conveniently comes in disposable dispenser jars. "The 5 lb. 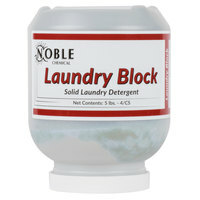 Noble Chemical Laundry Block Solid Laundry Detergent works great. 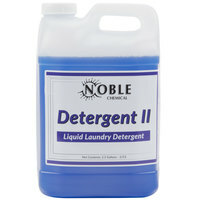 It gets your linens clean and they smell clean. I would recommend this for any hotel and restaurant." 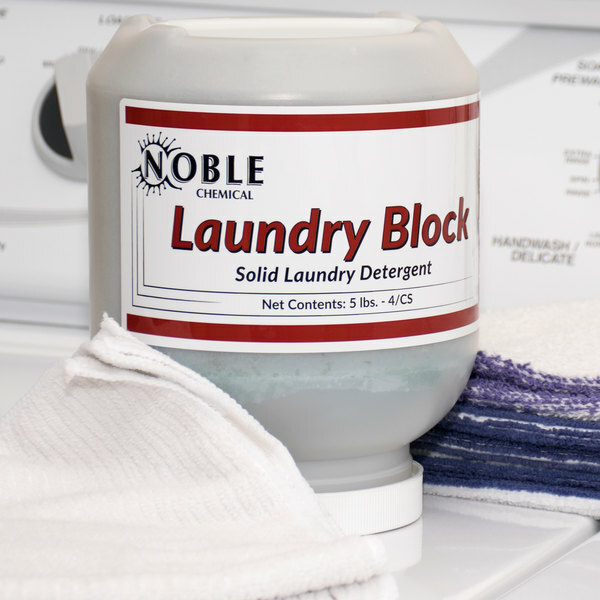 Using Noble Chemical Laundry Block solid laundry detergent is easy! 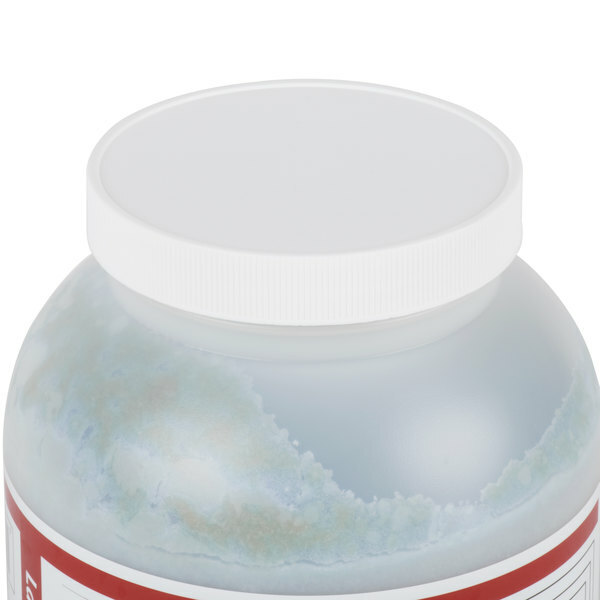 Simply remove the cap and place the capsule into the dispenser. Remove and dispose of the capsule when it's empty. 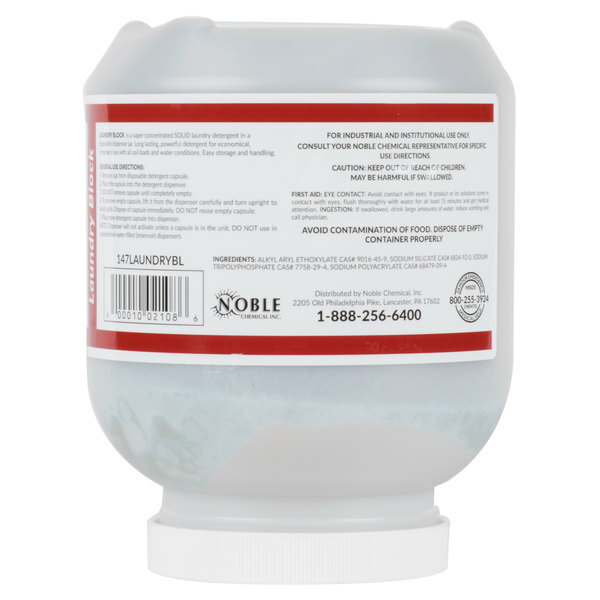 This concentrated detergent formula will easily clean dirt and other stains from clothes, towels, aprons, and other textiles. 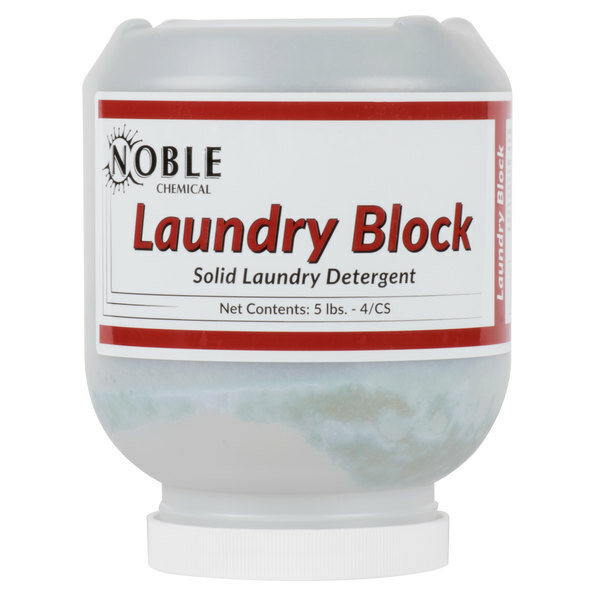 Noble Chemical Laundry Block solid laundry detergent is perfect for use with all soil loads and water conditions. The 5 lb. 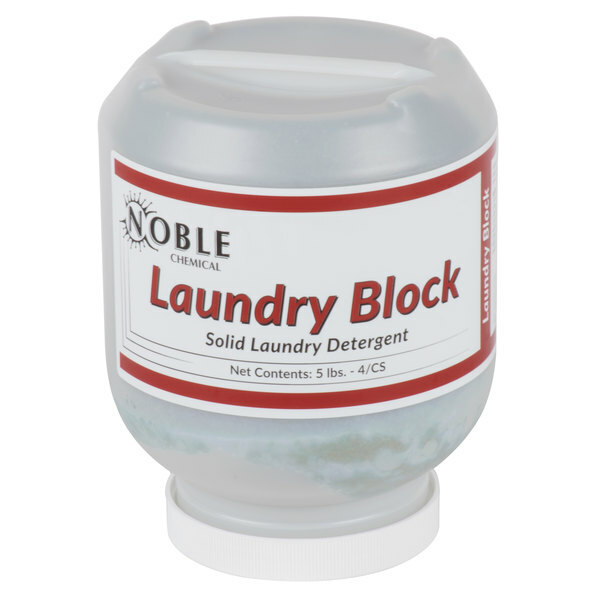 Noble Chemical Laundry Block Solid Laundry Detergent works great. 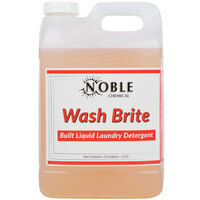 It gets your linens clean and they smell clean. I would recommend this for any hotel and restaurant.